My husband and I recently bought a house in Greensboro, North Carolina. It is a bit of a fixer upper, but we love it. 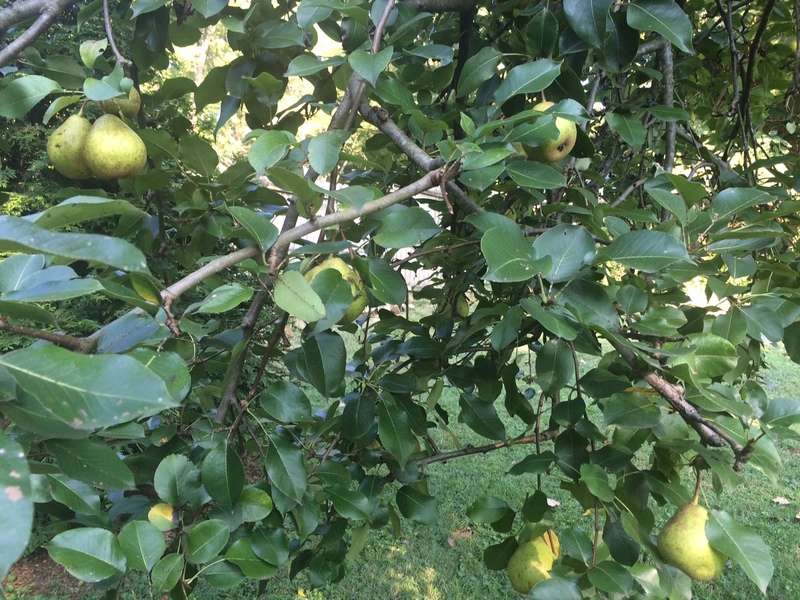 One unexpected joy in moving into our new home was discovering that we have a pear tree. Growing up, my grandmother had apple trees in her yard and I remember getting so excited when they were ripe and ready for the taking. 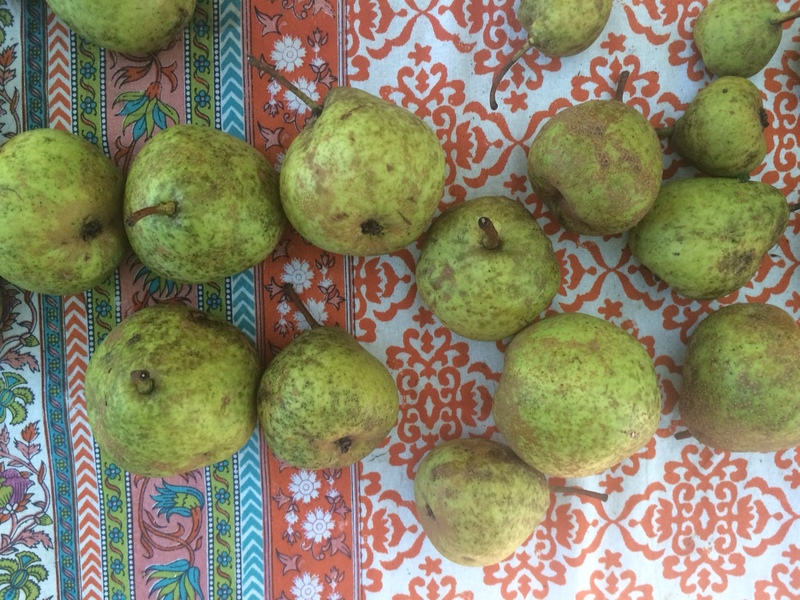 We have already given away and/or eaten 50+ pears and there are still tons on the tree. In efforts to use some of them up, I decided to make pear sauce (think apple sauce but with pears). It turned out great. My 10 month old especially loves it. Add remaining ingredients (water, lemon juice, spices, sweetener) and stir to cover pears. Cook in your slow cooker on high for 2-4 hours or until pears are soft. Use an immersion or regular blender to blend to your preferred consistency.